A graphics state is a central notion in the PDF format. The current graphics state is made up of many parameters affecting painting operations such as the current stroke and fill colors, line width, font, and many others. 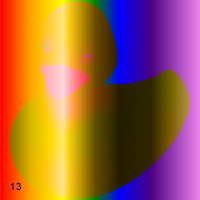 With AspPDF.NET, the graphics state is modified via various properties and methods of the PdfCanvas object such as SetFillColor or LineWidth. See Section 4.4 - Managing Graphics State for a detailed discussion of the graphics state. As an alternative to setting individual parameters via separate operators, PDF also allows multiple parameters of the current graphics state to be modified in a single operation, via the graphics state object referred to in the PDF specifications as ExtGState. An instance of the graphics state object is created and populated with multiple parameters and then selected in a single step, and can be reused if necessary. While using the graphics state object seems redundant, there are in fact certain graphics state parameters that can only be specified via a graphics state object and not any other way. Transparency-related parameters are among those that require a graphics state object. As of Version 3.1, in order for AspPDF.NET to support transparency, its object model has been expanded to include a new object, PdfGState, which represents both a PDF ExtGState object, and a transparency group described in the following subsection. An instance of the PdfGState object is created via the PdfDocument method CreateGState. This method expects a single argument, a PdfParam object or parameter string specifying various graphics state parameters including those related to transparency. To activate this PdfGState object, it is passed to the PdfCanvas method SetGState. In addition to representing a graphics state object, the PdfGState object has also been assigned the task of representing a transparency group, an important entity in the PDF transparency model. Transparency groups are described in detail below. The meaning of this code snippet will be explained below. From the Adobe PDF Reference: "The original Adobe imaging model paints objects (fills, strokes, text, and images) opaquely onto a page. The color of the page at any point is that of the topmost enclosing object, disregarding any previous objects it may overlap... Under the transparency imaging model, all of the objects on a page can potentially contribute to the result. Objects at a given point can be thought of as forming a transparency stack (or stack for short). The objects are arranged from bottom to top in the order in which they are specified. The color of the page at each point is determined by combining the colors of all enclosing objects in the stack according to compositing rules defined by the transparency model... A given object is composited with a backdrop. Ordinarily, the backdrop consists of the stack of all objects that have been specified previously. The result of compositing is then treated as the backdrop of the next object." NOTE: A comprehensive description of the PDF Transparency Model is beyond the scope of this user manual. Please refer to the Adobe PDF Reference for detailed information on this complex subject. 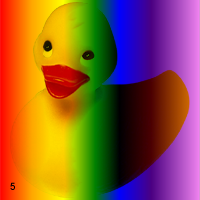 The blend mode is specified via the BlendMode parameter of the PdfDocument.CreateGState method. 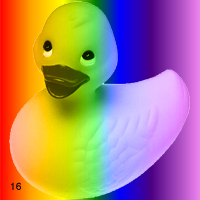 The valid values are 1 to 16. 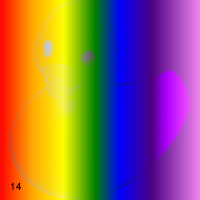 The following table summarizes all the available blend modes and their effects when the picture of a duck is painted on top of the picture of a rainbow. One or more consecutive objects in a stack can be collected together into a transparency group, or simply group. The group as a whole can have various properties that modify the compositing behavior of objects within the group and their interactions with its backdrop. An additional blend mode and alpha can also be associated with the group as a whole and used when compositing it with its backdrop. Groups can be nested within other groups. The following four images demonstrate the effects of transparency grouping. 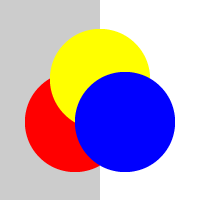 In the upper two figures, three colored circles are painted as independent objects with no grouping. At the upper left, the three objects are painted opaquely; each completely replaces its backdrop (including previously painted objects) with its own color. At the upper right, the same three independent objects are painted with an opacity of 0.5, causing them to composite with each other and with the gray and white background. 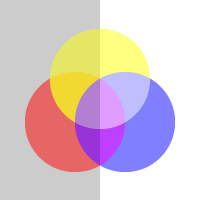 In the lower two figures, the three objects are combined as a transparency group. 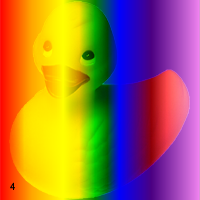 At the lower-left, the individual objects have an opacity of 1.0 within the group, but the group as a whole is painted in the Normal blend mode (BlendMode=1) with an opacity of 0.5 (FillAlpha=0.5). At the lower right, the objects have an opacity of 0.5 within the group and thus compose with each other. 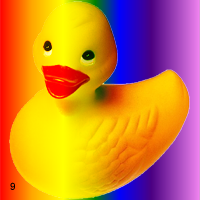 The group as a whole is painted against the backdrop with an opacity of 1.0 but in a different blend mode, HardLight (BlendMode=9), producing a different visual effect. lblResult.Text = "Success! 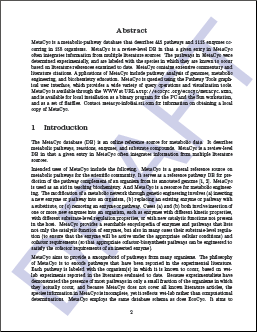 Download your PDF file <A HREF=" + strFilename + ">here</A>"
An isolated group is one whose elements are composited onto a fully transparent initial backdrop rather than onto the group's backdrop. 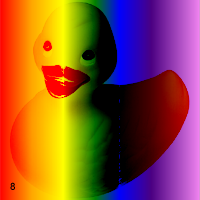 The resulting source color and object alpha for the group are therefore independent of the group backdrop. 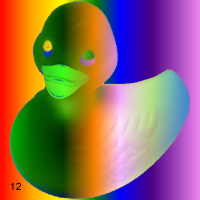 The only interaction with the group backdrop occurs when the group's computed color and alpha are then composited with it. In a knockout group, each individual element is composited with the group's initial backdrop rather than with the stack of preceding elements in the group. Each object overwrites (knocks out) the effects of any earlier elements it overlaps within the same group. At any given point, only the topmost object enclosing the point contributes to the result color and opacity of the group as a whole. 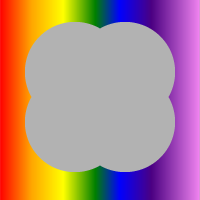 The following images demonstrate the isolated and knockout effects for a group consisting of four overlapping circles in a light gray color. 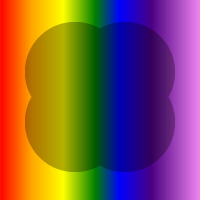 The circles are painted within the group with opacity 1.0 in the Multiply blend mode (BlendMode=2). The group itself is painted against its backdrop in the Normal blend mode (BlendMode=1). 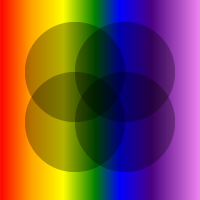 In the top row, the group is isolated and thus does not interact with the rainbow backdrop. In the bottom row, the group is non-isolated and composites with the backdrop. In the left column, the four overlapping circles are defined as a knockout group and therefore do not composite with each other within the group. In the right column, the circles form a non-knockout group and thus do composite with each other. 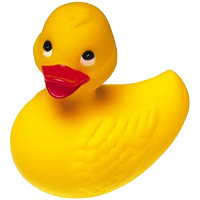 Any PDF compositing operation can be subject to a soft mask, or alpha mask, which is a graphics object that serves as the source of variable opacity for the objects being drawn. The word soft emphasizes that the mask value at a given point is not limited to just 0.0 or 1.0 but can take on intermediate fractional values as well. 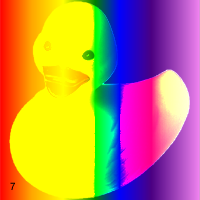 A soft mask is activated by linking it to a graphics state object, and then activating that object. 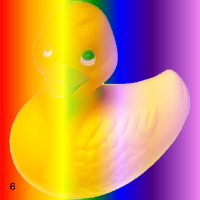 For a graphics object to act like a soft mask, it has to be associated with a transparency group. The soft mask values (opacity) can be derived either from the group's alpha values or from the group's luminosity values. 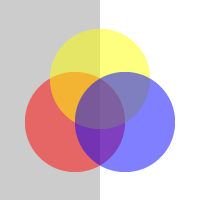 In the latter case, the transparency group must be associated with a color space so that the luminocity could be properly calculated. Note that if Alpha is False or omitted, the transparency group associated with this PdfGraphics object must be assigned a color space via the SetColorSpace method. 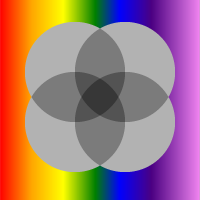 AlphaIsShape (Boolean) - specifies whether the current soft mask and alpha constant are to be interpreted as shape (True) or opacity values (False). TextKnockout (Boolean) - determines the behavior of overlapping glyphs within a text object. Overprint (Boolean) - specifies whether to apply overprint for all stroking operations. FillOverprint (Boolean) - specifies whether to apply overprint for all painting operations other than stroking. 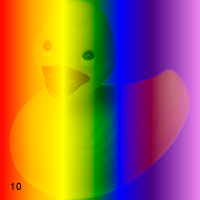 OverprintMode (integer) - specifies the overprint mode which determines how to interpret a tint value of 0.0 in a CMYK color space.